So you can get a Burberry watch for under $1000? Seems like. 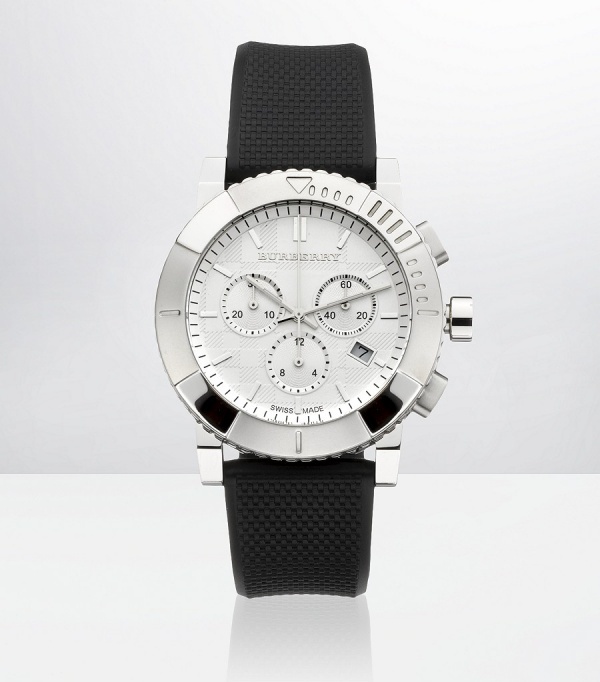 With Fathers day looming down and your brain rattled for a gift idea, why not set the old man up with a modern time piece, like this Men’s Chronograph Watch from Burberry. An absolute staple in British upscale fashion, Burberry has been making timeless classics for over a century. The dignified body and face, combined with the high grade rubber strap balances this timepiece into equal parts formal and leisure. Paired with a suit, this is a youthful touch and lets people know your dad is still in the game. This entry was posted in Misc and tagged Chronograph Watch. Bookmark the permalink.